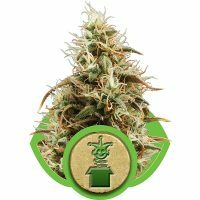 Royal Queen Seeds Royal Madre female Seeds produce a Medium sized cannabis plant with a High (15-20%) THC content, Photoperiod genetics and a flowering time of 8 weeks. 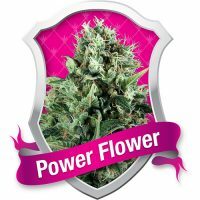 Royal Madre female Seeds has a genetic makeup of Jack The Reaper x Queen Madre and can produce yields of Indoors: 425-475 gr/m2 & Outdoors: 450-500 gr/plant . Buy Royal Queen Seeds Royal Madre female Seeds at the lowest price online now! 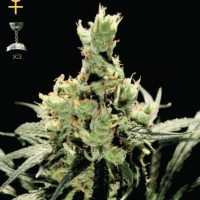 This variety is primarily the results of crossing Jack the Ripper with Queen Madre and is a Royal Queen Seeds exclusive. 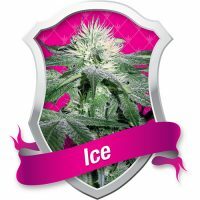 Ultimately, it has a heritage of 75% sativa and 25% indica. 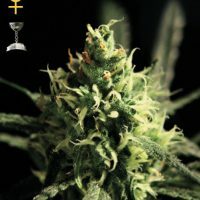 The feminized cannabis seeds of Royal Madre are easy to grow. With eight weeks until flowering, they’re on the early end of the growing period. Indoors, they grow to an easy-to-handle range of 60 centimetres to one meter in height. With a typical climate-controlled setup, they’ll produce between 400 and 450 grams of resin from one square meter of crops. If you prefer an outdoor setting and have the right conditions, you can expect plants of between one and just under one-and-a-half meters in height. 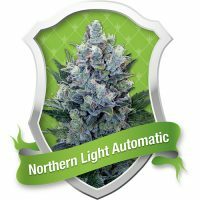 This makes them relatively compact for the discrete grower. In this situation, they’ll yield up to 500 grams from each plant and are ready for harvest in October. With a heritage that’s mostly indica, it’s no surprise Royal Madre has a strong Cannabinoid content and dense form. Both of its parents, Jack the Reaper and Queen Madre, have been described as fruity-tasting. Expect the same flavour here.